When Spirit speaks, Jeanne listens. Welcome to the Jeanne Street Media Kit. Here you’ll find information about Jeanne and her business, plus approved brand assets to use as needed. Internationally acclaimed Spiritual medium, healer and author Jeanne Street is a Catholic girl in an Angel world. Working with the Spiritual realm, she focuses on embodying the Holy Spirit with Divine compassion, and with gratitude and love connects people with their loved ones in Heaven. 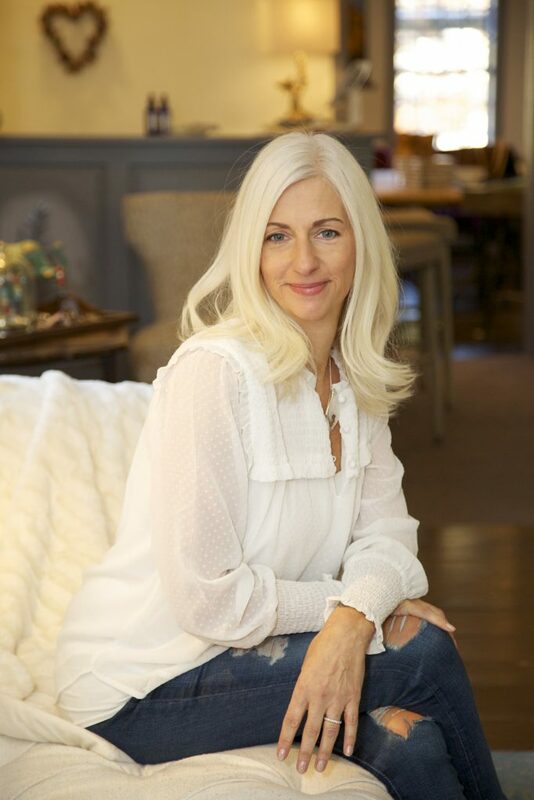 Known as the Angel Whisperer, Jeanne has connected with Spirit since she was a small child, and it is her mission to live a life of service, compassion, gratitude and love. Jeanne’s awakening to Spirit’s voice became part of her everyday in 2007. Just as quickly as it had shut down out of fear years before when she was a child, it returned with a gentle, loving feeling that renewed her connection and offered a new enlightened perspective. Jeanne’s work as a medium and healer began shortly after these nudges started. Through her connection and clear knowing, her sessions and readings are precise and detailed. For over ten years Jeanne has helped individuals navigate through difficult events in their lives. Jeanne’s deepest desire is to be able to help people to heal their pain and trauma. 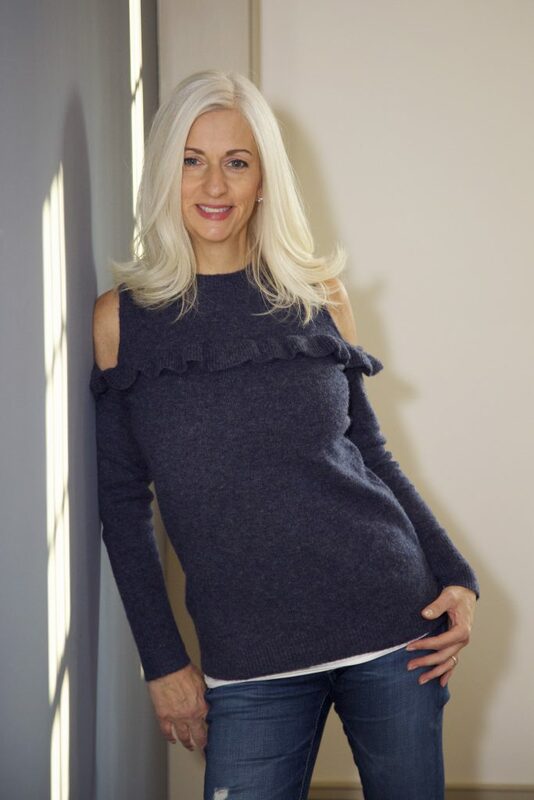 Her loving and accurate connections have transformed the lives of Jeanne’s clients as well as her live audience on her radio show Angels Don’t Lie, featured on KBJB Radio. Additionally, Jeanne is the founder and owner of Inspirit Healing Studio in Woodbury, Ct., where she practices her work and hosts space for all types of God-based healing modalities. Through God-based medium readings, classes, speaking engagements and more, Jeanne channels Divine love, Angelic tones, and Spirit to aid healing and provide a release from emotional pain. During a 30 or 60 minute reading, Jeanne works with Spirit to bring personal and validating messages from departed loved ones and blessed guidance to support and empower her clients to make positive changes to enable them to move forward and live their lives as their highest soul self. During an intimate two-hour reading, Jeanne works directly with Spirit to bring personal and validating messages for each member of the group from their departed loved ones. Each group reading is a beautiful healing experience all of its own. When groups come together, a shared collective healing theme is revealed as Jeanne begins to channel Spirit’s messages. At larger events, Jeanne takes the audience on a journey through loving connections and messages with random members of the audience. Each large audience event has a unique energy and offers attendees clarity and guidance as they witness the validating messages being shared. The Transformational Intensive with Jeanne is a personalized program designed to release the emotional blocks that have been holding her clients back, allowing them to find clarity, confidence and healing. Channeling Divine messages as the foundation for guidance, Jeanne helps her clients to realize the abundance that is awaiting them in every area of their lives. Each client receives a personalized action plan with steps and tools to help them discover who they really are and what it is that they desire. Jeanne’s healing sessions are a form of hands-on energy healing. She harnesses positive energy through her connection to the Divine, Jesus, Angels, Reiki, crystals, and sound, and channels it through to her clients. During a healing session, Jeanne opens and clears chakra energy centers with a gentle motion of energy that flows from Divine source through her hands. Afterwards, Jeanne delivers gentle guidance and loving messages from Spirit and loved ones to support the healing journey. A stunning range of beautiful chakra bracelets and harmonizing room sprays designed by Jeanne to help her clients celebrate the Divine and connect to Spirit in their day-to-day lives. Jeanne has created a platform to assist with Spiritual and emotional healing, growth and learning for those looking for peace, comfort and clarity. The Goddess Youniversity comprises both a complimentary resources area and a monthly subscription members club. Jeanne offers a diverse range of life-enhancing events, classes and workshops at Inspirit Healing Studio. The Goddess You: Principles for living in soul alignment. Learn how to stop living a fear-based life, and instead live in alignment with your inner Goddess. This beautiful book guides the reader through the twelve principles to finding soul alignment, with easy-to-follow steps showing a way for the soul self to emerge and flow within the Divine energy of God. Jeanne walks with the reader on this journey, as they liberate their voice and purpose by working through her principles, which are mapped out in enjoyable, simple and attainable goals and exercises throughout the book. When you’re moving in a Divine forward direction, a helping hand is always welcome! This journal is a companion to The Goddess You book and is designed to be used as a place to record insights while following the principles and action steps in each chapter. This delightful book is a place to note down thoughts, ideas and revelations during the process of getting to know and connecting with the Goddess You. When did Jeanne realize she had the gift of connection? Jeanne’s connection to Spirit began as a child. Her first memory of seeing a departed loved one was at the age of 4 when she saw her grandmother Alice. However, out of fear of seeing departed souls in her room at night, she retreated inward to shut off the connection. Although Jeanne has always had a clear knowing, known as claircognizance, she didn’t recognize it as a part of her gift of connection to Spirit. From time to time, Spirit also impresses the messages through her hearing (clairaudience), sight (clairvoyance), feelings (clairsentience), and scents (clairalience). How does Jeanne connect with Spirits and deliver their messages? 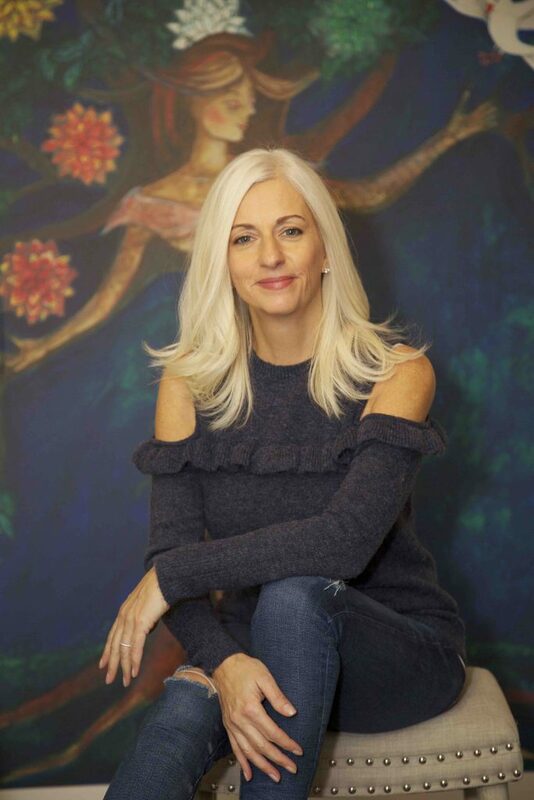 Jeanne connects to the Spiritual realm by raising her vibration through meditation, healthy lifestyle choices and awareness. What should I expect and how do I prepare for a reading? Having a reading is a beautiful and healing experience, but it is normal for some people to experience heightened nerves and even some worry beforehand. The best way to prepare for a reading is through surrender and prayer. Spirit will do all the work. An open and calm state of mind is how the loving messages will connect. What’s the difference between Jeanne’s healing sessions and her medium readings? Healing sessions are a form of hands-on energy healing. Jeanne harnesses the energy through her connection to the Divine, Jesus, Angels, Reiki, crystals and sound healing to channel energy to her clients. During a healing session, the client lies fully dressed on a massage table while Jeanne places her hands or uses crystal or sound on specific areas of the body to channel energy to the areas in need. Afterwards, Jeanne delivers the messages that pertain to the healing session. Medium readings are done one-on-one, in a small group, or in a large audience setting. Jeanne works with Spirit to bring personal and validating messages from departed loved ones and blessed guidance that will support and empower her clients to make positive changes to enable them to move forward and live their lives as their highest soul self. Can anyone learn to be a medium? Every human soul is born with the gift of intuition. It is through this gift that you can connect with your higher self, the Divine, Angels and even your departed loved ones. And while it may be possible to learn how to be a medium, everyone is destined to follow their own path, which may or maynot include a connection to Spirit. Is Jeanne worried that she is going against God? Jeanne was raised with the Catholic faith. Her decision to work as a medium came after she met with her parish priest to discuss her ability to see Angels during mass as well as connecting to departed loved ones. It was through his blessing that Jeanne proudly shares her gift and devoted faith in God with others. You are free to use these photos with our permission as long as you include photographer’s credit Stephanie Stanton and send us a link at info@jeannestreet.com to where they are being used.